This guide illustrates the different methods in publishing news and events. All users can publish news and events from their portal homepage. 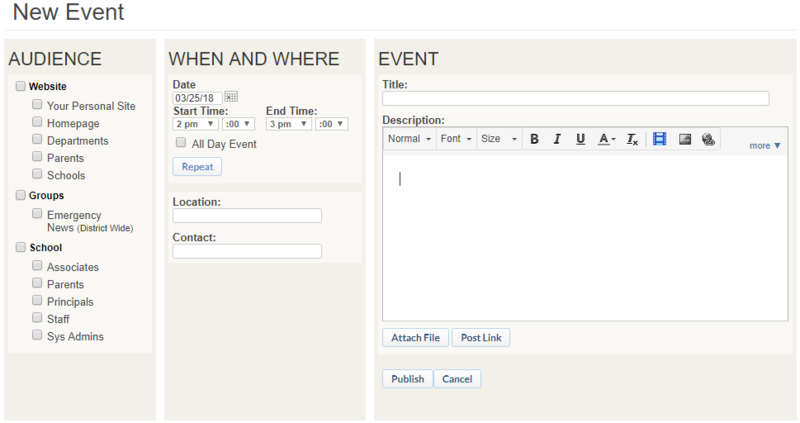 Webmaster may also post news and events from the Site Center and when editing News and Calendar modules. Select any of the options highlighted below. On the next page, complete the form (event pictured below - news is very similar) before clicking the Publish button. The options available in the Audience list will vary by user depending on their role and rights. Webmasters will have the Website options as pictured below. This method is available to Webmasters, Editors, and Contributors. Go to the Site Center or any Minisite Center and click the tab for News & Events, then use either of the options highlighted below. With this method, you may only post news and events to either the homepage or a minisite. 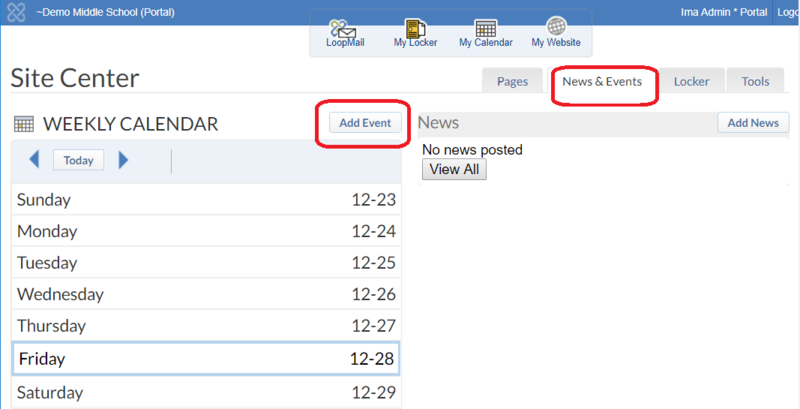 When editing a page, select either News or Calendar Module by clicking on the module, then use the Add News or Add Event button on the Toolbar. With this method, you may only post news and events to the section where the module is located.